Developed from an experimental aircraft of the South Belka National Weapons Plant as a platform for next-generation weapon systems. 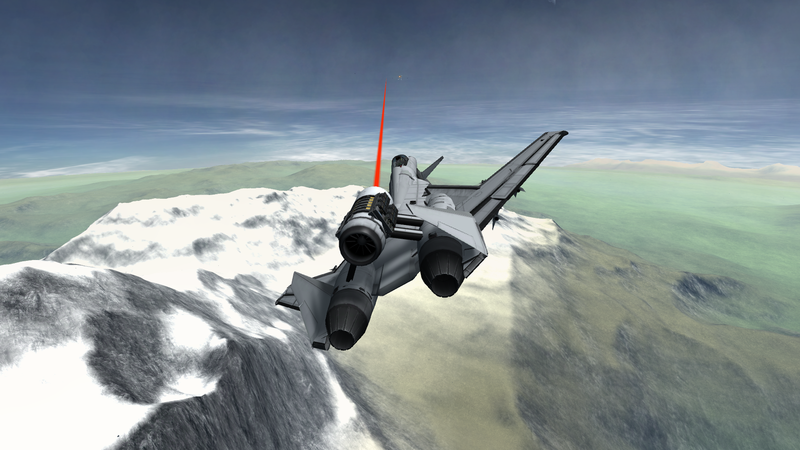 This all-weather multi-purpose aircraft’s attack and defensive capabilities was intended to surpass any mass production fighter in performance. 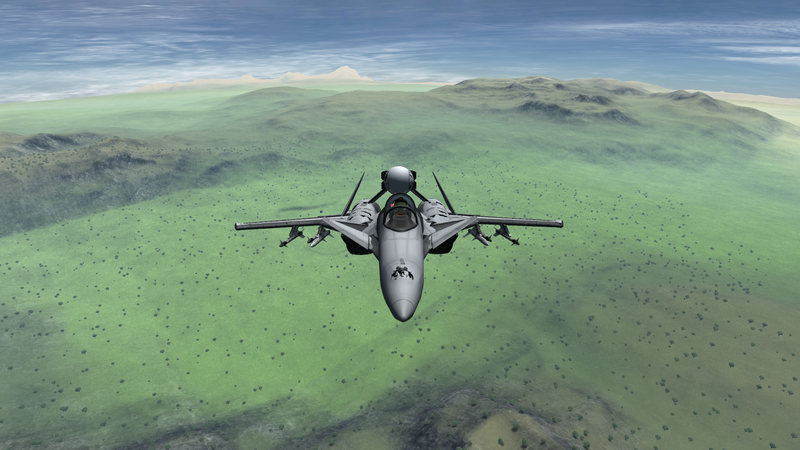 The ADFX-02C is a twin-seat version of the ADFX-02. It is armed with a Tactical Laser System and ECM suite, alongside a conventional armament of a nose-mounted 30mm rotary cannon, four heat-seeking missiles, and two radar-guided missiles. Some liberties were taken to reduce mod count and maintain a clean aesthetic. 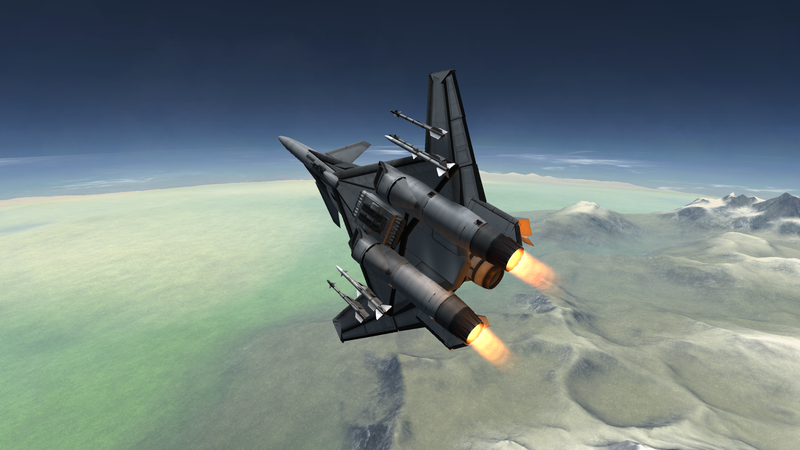 An update for KSP 1.6 + BDA 1.2.4. Roughly scale. Build came together surprisingly quickly; only about 3 hours for the major parts of the build. Lots and lots and lots of judicious editing was done to make the TLS more like the one in Ace Combat: Zero. 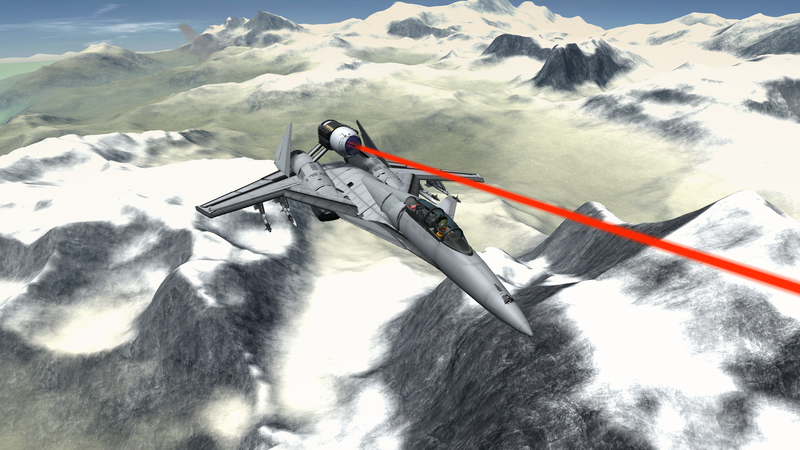 It is limited to firing in a 45 degree arc in front of the aircraft (so it isn’t so omnipotent). However, range has been increased to 6.5km (farther than the available normal range for the USAF Airborne Laser settings). Oh yes, and you’d better believe the TLS is lethally effective. You can turn all of your enemies into PJ as you wish. 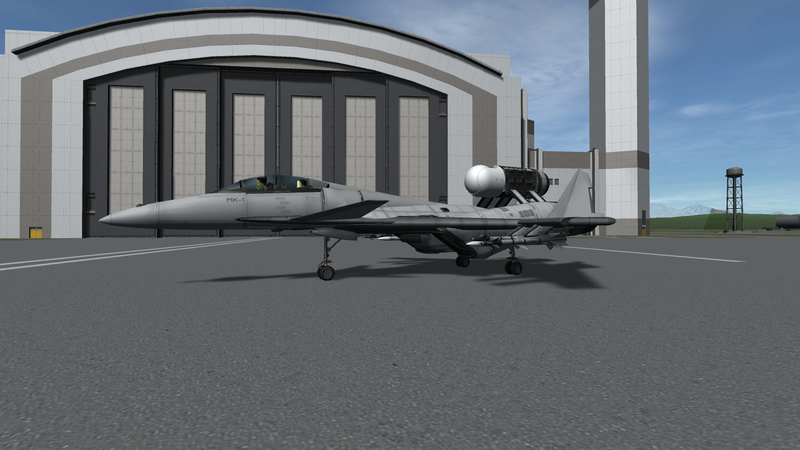 It takes no less than 9 ECM pods combined in the ECM suite to keep this aircraft’s massive radar signature immune from AMRAAM lock-on at significant enough of a distance for it to strike first with the TLS. The 30mm cannon is… apparently the canonical bore size of the Morgan’s gun. 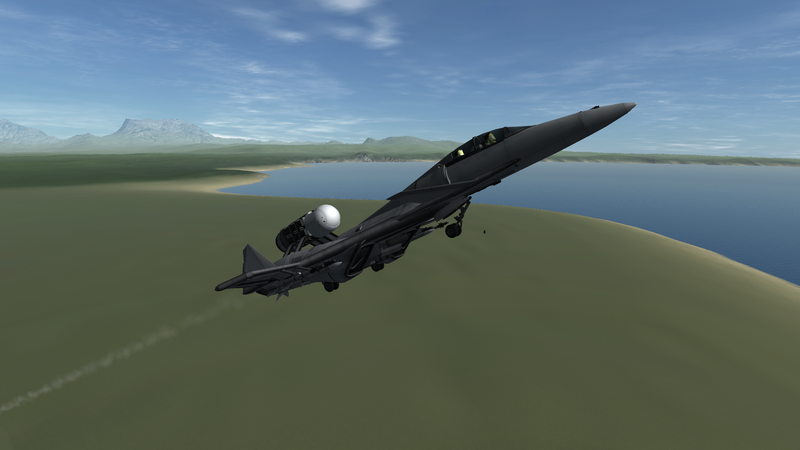 Sadly, I could not really have an analogue of the MBPM, so… no blasting your enemies out of the sky with a big boom. 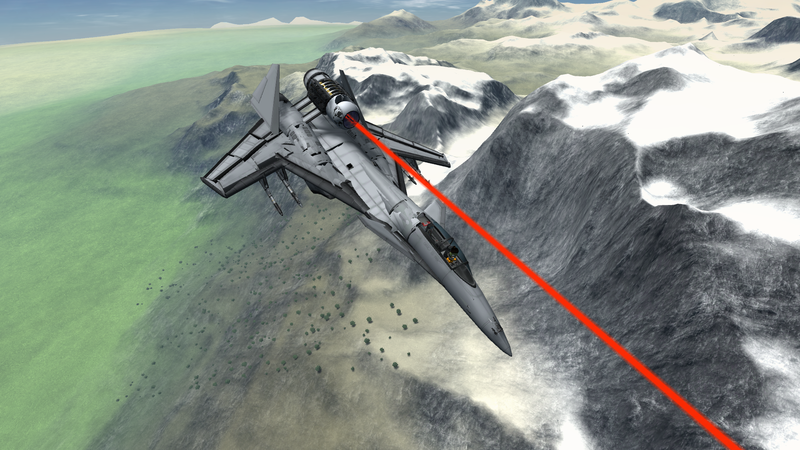 Just a laser. 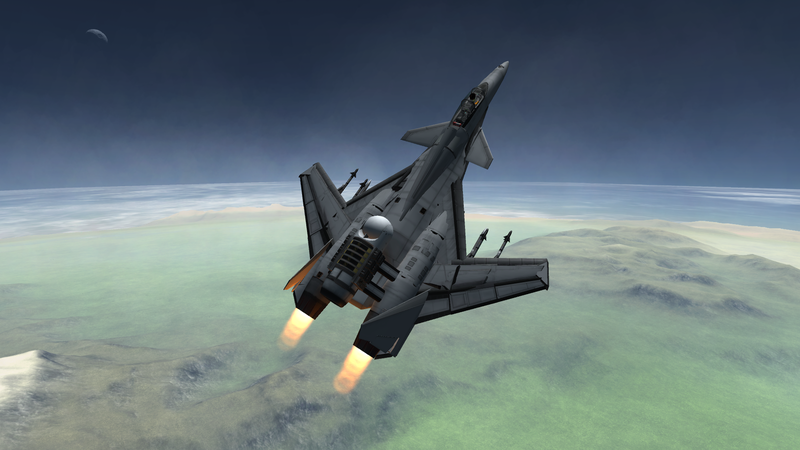 This is a fully combat-ready BDA aircraft, including all tuning to Flight AI and weapons range, as is usual from me.